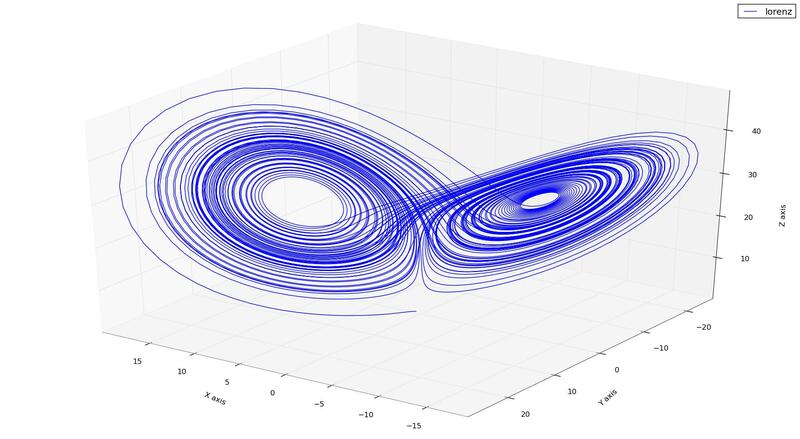 My salutation to Edward Lorenz, the founder of Chaos Theory. These graphs are generated through Python and SciPy. Try dumping the following codes into the IPython and have fun changing the view of the Lorenz attactor. 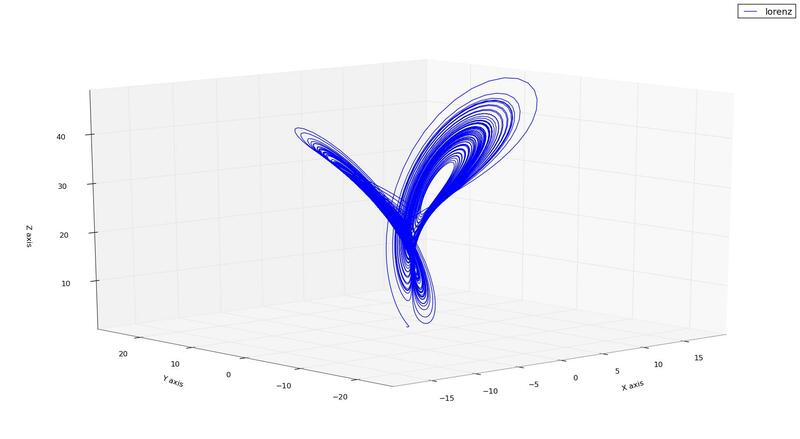 Lorenz attractor – YZ view. 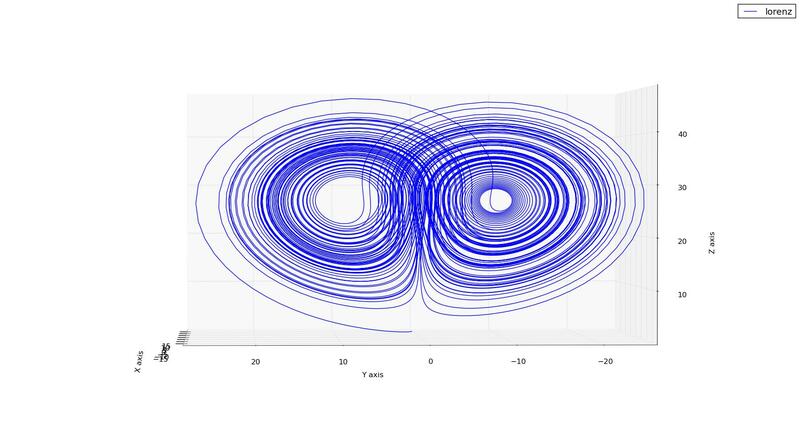 Lorenz attractor – side view. The following is my Python source code. My adaptations were primarily modularization; I separated defining the DE, solving it, and plotting it – this modularization allowed me to do things like generate a number of very similar initial conditions to get an ensemble of simulations and iterate over a number of values of rho values.